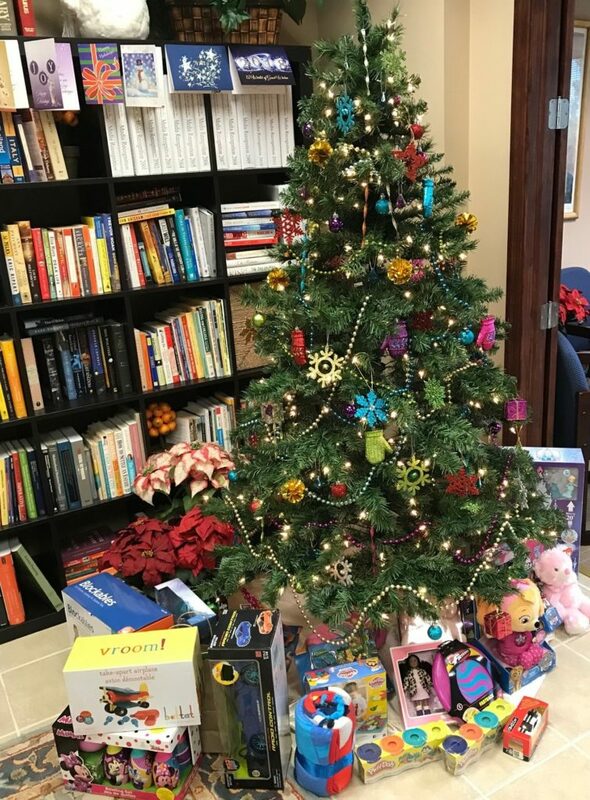 Thanks to all the generous guests at our Holiday Party yesterday, we have a tree-full of gifts to take to Florence Fuller Child Development Centers for the kids! Thanks to all! You’ve helped make this a happier season for many children!